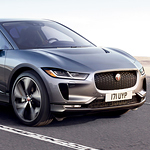 Great audio is one of the features that are sought with the 2019 Jaguar I-PACE. We at Jaguar Tulsa are happy to let you know that the vehicle has the features that will bring you the best in entertainment quality. We encourage you to check out these features for yourself. One feature that is going to blow you away is the Meridian Surround Sound System with Trifield technology. This enables the sound system to provide music with the clarity of a live performance. This will also give you an even greater sense of immsersion when you are listening to the music or other forms of media. You also get 15 speakers in the arrangement. You also get to connect with the vehicle with the Wi-Fi hot spot which is high-speed. Therefore, you will be able to access the apps on your smartphone without having to worry about using up data.